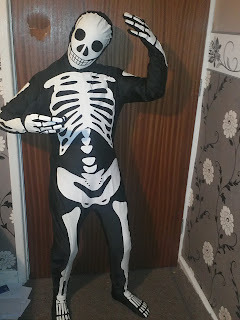 I won a Morphsuit from Morphsuits on Facebook on 8th October 2012. I received it on 11th October 2012. 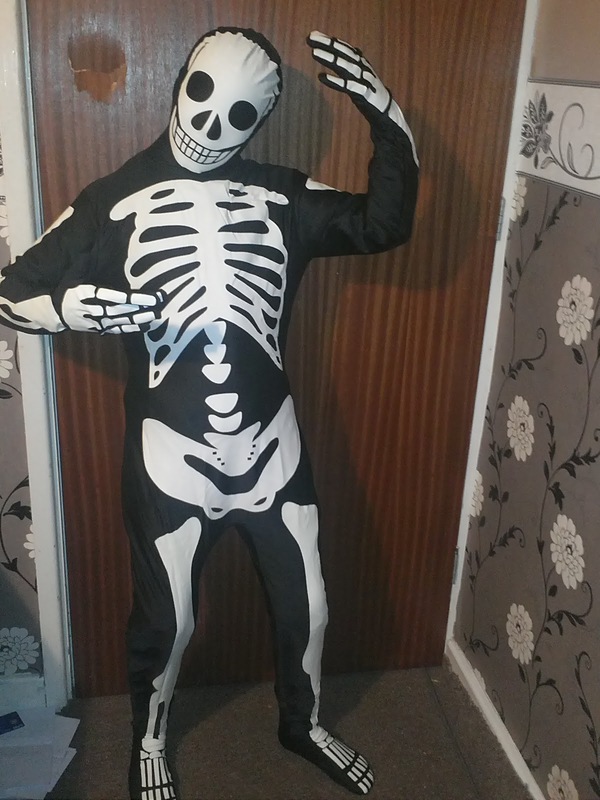 David in his glow-in-the-dark Morphsuit all ready for trick or treating! They were kind enough to let me substitute it for a kids one as my son really, really wanted one. He wanted to be the alien, but they had none left, so he chose the glow in the dark skeleton instead. He's looking forward to Hallowe'en!